David Gabay, computer engineering graduate student. David Gabay has always wanted to serve his country. 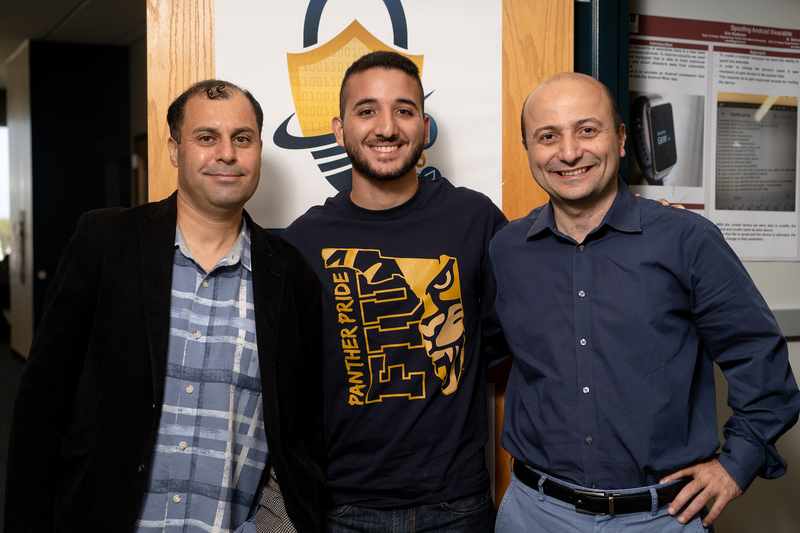 A cybersecurity warrior at FIU, Gabay is close to realizing his dream. Gabay, who is pursuing his master’s in computer engineering at FIU, is the recipient of the CyberCorps Scholarship for Service, funded by the National Science Foundation and the Department of Homeland Security. He receives full-tuition scholarship, an annual living stipend of $34,000 and funds to reimburse books and other fees. 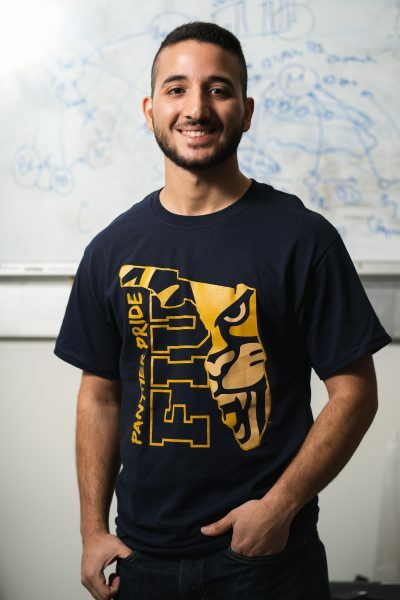 Gabay chose FIU for his graduate work after attending FIU’s Research Experience for Undergraduates (REU) program, also funded by the NSF, as an undergraduate student at Florida Atlantic University. The 10-week program specializes in the security of smart things. Gabay’s research, which he started in the REU program, focuses on a block chain application for scheduling. For instance, owners of electric vehicles need to charge their vehicles, often at a public charging station. An owner calls the vehicle company to make a reservation. The company asks for the owner’s name, vehicle information, and the preferred date and time, exposing sensitive information if the company is hacked. Gabay is working on a decentralized version using zero-knowledge proof, meaning the vehicle company will be able to verify that the car owner is an authorized user, but does not need to know who the person is, preserving privacy and unanimity in the scheduling process. Through CyberCorps, Gabay interned at the Aerospace Corporation in California — where he developed an intrusion detection system, which identifies when a hacker is attempting to break into the system. “I worked on developing an intrusion detection system for a mission critical system such as a satellite, used to communicate with personnel flying and ground personnel,” says Gabay, who’s been offered a full-time job at Aerospace Corporation. Selcuk Uluagac, assistant professor; David Gabay; and Kemal Akkaya, professor at FIU’s Cyber-Physical Systems Security Lab. For Gabay, his relationships with his professors — Kemal Akkaya, professor and principal investigator of the REU program, and Selcuk Uluagac, assistant professor and co-principal investigator of the program, from the Department of Electrical and Computer Engineering — have been a bedrock of his academic and professional successes. “All the professors are basically geniuses,” says Gabay. “Seeing Dr. Uluagac type in his name in the Google search bar and seeing a list of all his publications was inspiring.” Gabay is the second author on a paper called Cybergrenade, which he presented at an IEEE conference. When not actively doing research, Gabay finds time to give back to the community and mentor students. Gabay lost his mom to lung cancer at the start of his college career. Despite the excruciating loss, Gabay, with the support of family and friends, did not quit school and made it a priority to take advantage of all the opportunities presented to him. Now Gabay helps others stay focused on achieving their goals. He is a member of MentorFIU, where he mentors an undergraduate mechanical engineering student on a weekly basis. He’s also a part of Google CS First, where he visits Carlos J. Finlay Elementary on a weekly basis to teach younger students how to code. Gabay’s goals are to graduate with his master’s in computer engineering and work for a government agency, where he can protect the nation and give back to his mom.